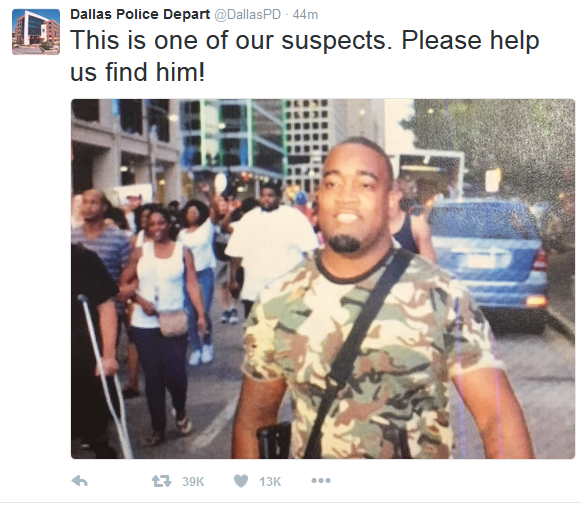 The man originally named as a suspect by Dallas Police has been released without charge after handing himself in.It was also discovered he was not one of the snipers despite being the first to be declared wanted by the Dallas Police force .Mark Hughes told TV crews “I could have been shot.”Mr Hughes and his brother vowed not to leave Dallas. “I’m going to protect mine and protect my family,” he said. Mr Hughes also surrendered his legal open carry weapon.